Panel looks at women in Church leadership. Published 9/7/2018. Local. NORTH READING -- Bishop Mark O'Connell did not know how many people would come to an open meeting held on the last Sunday afternoon of the summer, but his panel discussion on the topic of "Women in the Church" yielded an audience of between two and three dozen people at St. Theresa's Church Hall on Aug. 26. Many were his own parishioners, but some had come from other communities. "You have to really want to come to this," Bishop O'Connell said as he opened the listening session. "I did this on purpose, so only people would come who really want to come," he joked. Bishop O'Connell got the idea for a summer discussion from his practice of holding question-and-answer sessions in various parishes. "Certain issues keep coming up," he told The Pilot, "and therefore I knew that there had to be a concentration on some of them." The panelists were three women with varied and significant experiences in church leadership: Marie Philomene Pean, a spiritual director and hospice chaplain; Susan Abbott, a longtime religious educator at both local and diocesan levels; and Sister Virginia "Ginny" Scally of the Sisters of Notre Dame de Namur, Coordinator of Catholic Services at North Shore Medical Center in Salem. Pean was the first panelist to speak, pausing every so often to pose a question of self-reflection for the women of the Church to consider or have the audience repeat a key word. She shared her experience as a lay leader in her community in Luly, Haiti where, she said, some priests and religious were jealous of her and asked the archbishop to remove her from her position. "This type of exclusion story doesn't happen only in the Church," Pean said. She related how she worked as a chaplain in secular institutions where she had to start from scratch to implement spiritual care. 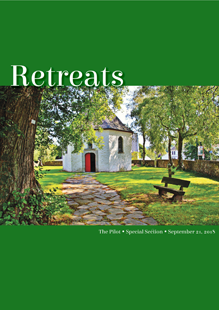 When the spiritual care director resigned, the position was offered to a white, male chaplain, even though Pean felt she was more qualified and experienced. She suggested, "perhaps we are the ones enabling our clergy to keep the status quo by our silence and reticence to speak. We need to have the courage to share our true feelings and our vision of the Church with our bishops and pastors without fear of retaliation. We need to consider ourselves as equal collaborators and claim our rightful place as coworkers in the Lord's vineyard." She exhorted the women in the audience to not be afraid, and emphasized the need to nourish one's own spiritual life and be grounded in faith. "Remember, you may be betrayed or alienated, and experience all kinds of persecution. However, you will also be recognized by some clergy who share your dreams. More importantly, you will be recognized and validated by the Lord," she said. "Women, if we can peacefully and religiously voice our concerns, our Roman Catholic Church will be the better for hearing and accepting us. Our young women and men would be more attracted to the Church. No one would desire to leave our Church to join other denominations that have already broken that gender barrier. ... It may seem like an impossible dream, but we can transform our Church," she added. 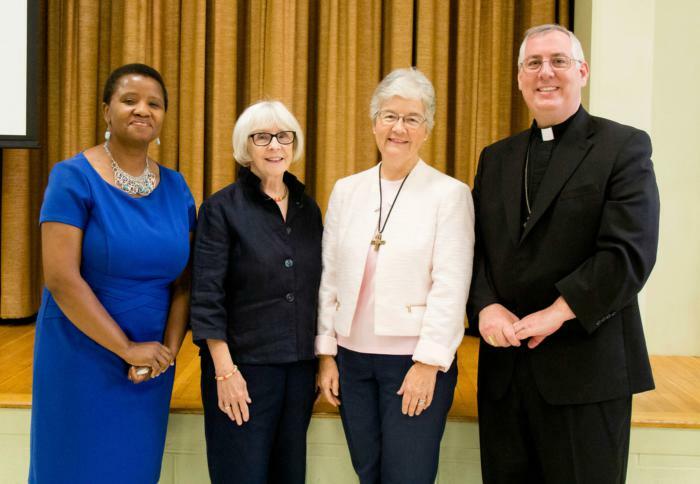 In her remarks, Abbott, former Director of Religious Education for the archdiocese currently the part-time Evangelization Associate at Our Lady of Good Voyage Seaport Shrine in Boston, addressed the onslaught of bad news in the Catholic Church over the past few weeks. "I pose the question that seems almost rhetorical: Would things be different if more women were in positions of importance and their voices heard in the Church today?" she asked. The audience answered this question with a chorus of "Yes." Abbott acknowledged that she may have received some opportunities because she was a "safe" choice, or a "token woman." She said she had a combination of good and bad experiences, but the positive experiences have far outweighed and outnumbered negative ones. Rarely felt that she couldn't voice an opinion or make a suggestion. "Now more than ever the Church needs our voice. The Church needs our gifts and our talents put at the service of the mission ... all of us, women and men alike, are called to speak the truth in love. Being a woman in the Church can be maddening, frustrating, and sometimes hurtful, but we can't settle for that. "For me it comes down to 'why.' Why do I want a seat at the table? Counsel sought, ideas implemented, my voice heard. And the answer is one word: it's Jesus. How can I help people get to know Jesus and grow closer to Jesus, to live as Christ, to be Christ for others?" she added. The final panel speaker, Sister Virginia, shared on the projector a photograph of herself in her alb alongside a male pastoral administrator. She explained that she spent many years serving as a pastoral administrator in parishes that lacked priests. In 1976 she accepted a position as part of the pastoral team at what she described an "experimental parish" in Chicago, which did not have geographically boundaries or a formal church building. The laypeople were welcome to be involved in planning the liturgy, which Sister Virginia found an "empowering" experience. She said she "could hear where the reality of clericalism was at work" when the permanent deacon on the team argued against having the pastoral staff take turns preaching. In 1986 Sister Virginia returned to Boston and accepted a position as pastoral and campus minister at St. Ann University Parish. She said that, although she enjoyed working with students and young people, her role on Sundays was "reduced" to "putting out the coffee, giving out the music books and making sure the babies were taken care of." She said she felt her experience and gifts were being wasted. In 1991 she became a pastoral administrator in Saginaw, Michigan. Out of the 20 or so pastoral administrators, she was the only one who wore an alb during liturgies. She said she did so because she wanted people to envision the possibility of men and women as liturgical leaders. Sister Virgnia ended her talk by sharing qualities she believes are necessary for Church leaders -- both men and women -- to have, including self-awareness, good communication skills, honesty, wisdom, humility, humor, the ability to laugh at oneself, and a capacity to suffer. She added, "The leader is someone who can work constructively with conflict." After a ten-minute break, the group reconvened for a question and answer session. Bishop O'Connell kicked it off by addressing a common question, which had been voiced to him again during the break: Why can't women be priests? He explained the question is often posed as one of fairness. Instead, he said, the answer lies in understanding the difference between divine law and human law. Since the male priesthood was established by Christ, the Church cannot change it. Section 1577 of the Catechism of the Catholic Church explains the Church's teaching: "'Only a baptized man validly receives sacred ordination.' The Lord Jesus chose men to form the college of the twelve apostles, and the apostles did the same when they chose collaborators to succeed them in their ministry. The college of bishops, with whom the priests are united in the priesthood, makes the college of the twelve an ever-present and ever-active reality until Christ's return. 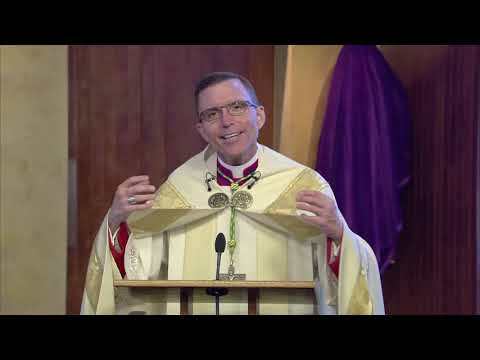 The Church recognizes herself to be bound by this choice made by the Lord himself. For this reason the ordination of women is not possible." Many women who spoke during the Q and A expressed their gratitude to Bishop O'Connell for holding the meeting and being open to listening to their ideas and perspectives.